In some of our lives there comes a time when illness, injury, arthritis, or even disease affects our physical capabilities in the garden. Below are some tips, tricks, tools, and products to help keep us happily gardening into our golden years. As a physical therapist and fellow gardener I hope these ideas presented help to get you back out into and enjoying your own garden or someone else’s. If you have any other, helpful suggestions please don’t hesitate to share in the comments below. 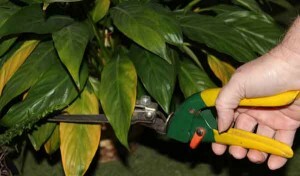 It’s Arthritis Awareness Month but make sure to take care of your If you are a visual person like myself then head over to Gardener’s Supply Company, one of my personal favorite gardening sites, to see actual pictures of the tools and products discussed above. Happy gardening! We made raised garden beds for my mother a few years back and it’s been great for her. Lots of the low positions in gardening are hard on the body. Planning on doing a few different things in the garden that use different motions and muscles for shorter periods of time can save you some trips as well. Thanks for the great tips! Mary so glad the tips helped and I definitely agree that raised beds keep people gardening longer with less stress and strain. I am happy it was a positive solution for your Mom!